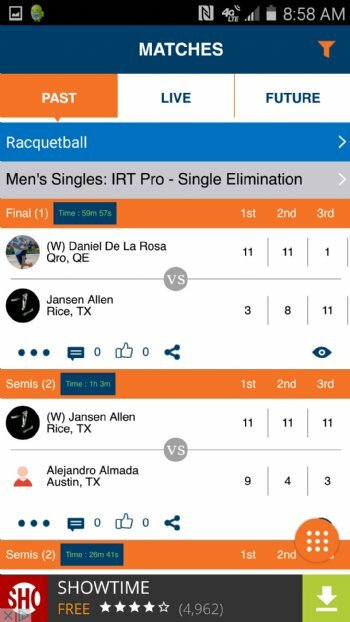 The ultimate sports app for players and fans integrated with the R2 Sports Tournament Software. Your link to the global sports network. This sports world we live in just got better: R2 Sports has launched the brand new R2 Sports App, now available for both Android and iPhones! The new mobile application will take you closer than ever to the all the action of the sports and events that you are interested in. Imagine being able to select your favourite players, events, and divisions, then having live information brought to you instead of you having to go find it on the website. Get notifications when a game is starting, receive live scores when the referee is using the R2 live scoring app, and receive final game results. All this while being able to share, like, and post comments. Enter tournaments, interact with other players and chat with fans. Watch live streaming from right within the app when made available by the director. If you can’t be there in person, it’s the next best thing! Available now on both the Apple iPhone through the iTunes store, as well on Android via the Google Play store, it is a free download. • Event information brought to you instead of you having to find it. • Track your favorite players and divisions. • Live Video footage of your favorite events. • Link to your real R2 sports profile, never have to login again. 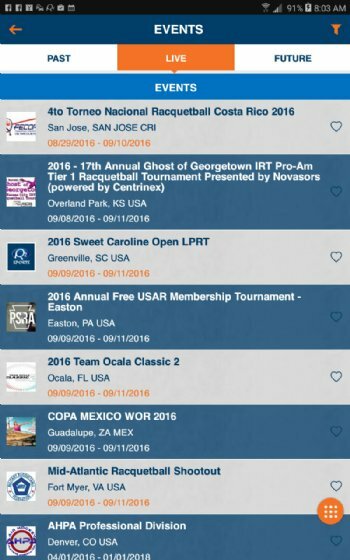 • Enter your favorite events directly from the R2 sports app. Keep your eye on your favorite players and teams, follow those closest to you from afar and never miss a result. R2 sports app brings you closer to those whom interest you the most, be it a top pro, friend, relative, a competitor, and of course yourself when you compete. When you can’t be there, the app is as close as you can get to finding real time results! Then when you are there at a live event participating, the app is your friend to help you determine when and where your next game will be, along with showing you other results in your divisions so you know your competitor in upcoming games. Since we can’t always be where we want to be, the R2 sports app brings the event divisions of your choice straight to your Mobile device. 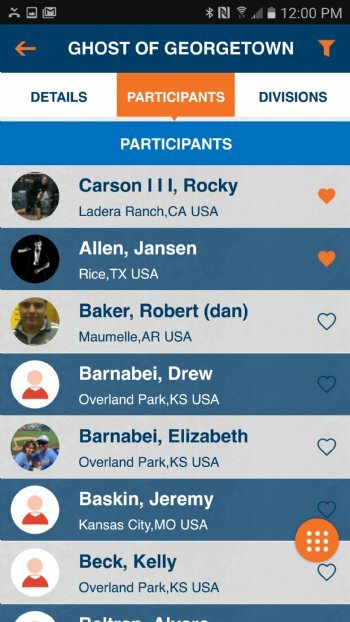 The R2 sports tournament app allows you to track your favorite divisions within an event. Each time a director updates a match or game score within one of your favorites, the information will be delivered to you. Supported event types in the app include: tournaments, leagues, contests, and challenge ladders. The app allows you to follow division within any of these event types. Track multiple events in different sports all at the same time. The days of hunting down information on the R2 website are finally about to be over! The sports tournament app goes and gets the information for all of your favorite players and divisions, then brings that data to you in one place: The home screen of the app. It separates your favorites into 3 sections: Live, past, and future. The live section shows results and live matches for an event going on that day. If a match is being video streamed on the internet in real time, the director can include the link in the app so fans can watch the steaming video. When hundreds of matches are being displayed, use the convenient match filters to show only specific matches. The app always bring you the most up to date event information available, view past results through the app for 2 years after the end of the event! Once you have selected your favorite events, divisions and players, the R2 sports app will do the rest of the work for you. 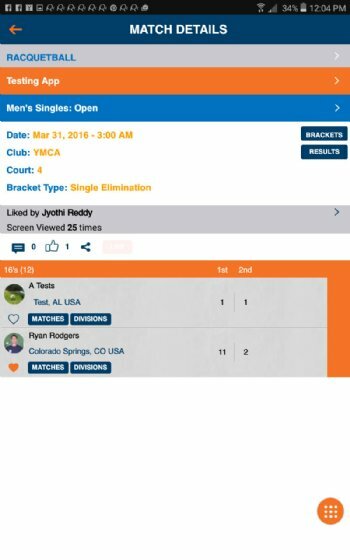 This state of the art tournament app will keep you up to date with all of your preferred results the moment they happen by sending push notifications messages. It doesn’t matter if you are using another app on your phone, or you have your phone off, you will receive a push notification when something significant with one of your favorites happens at the event. Imagine being able receive instant messages directly from the director if you are a fan following a world championship tournament in your favorite sport. You are free to opt in and out and choose your sending preferences at any time. That is the beauty of the R2 sports app, it’s made to fit your needs and you control exactly how and what information that you want to receive! Live score feature which brings you the point by point update without having to leave the comfort of your home or office, stay up to date in real time! Here is how it works: referees use a separate live scorecard app instead of a paper scorecard as they officiate. As the match is being played, each time the referee pushes a button to score a point, all the fans receive the update and can follow the live score through the tournament app in real time. This feature is not yet available in all sports. In the preferences section of the app, login one time to your R2 sports profile, and the app will always be linked and know who you are. No need to remember your login information after that, the app will permanently be linked to your personal profile! Now you can easily renew memberships, register for new events, and make challenges if you compete on a challenge ladder. 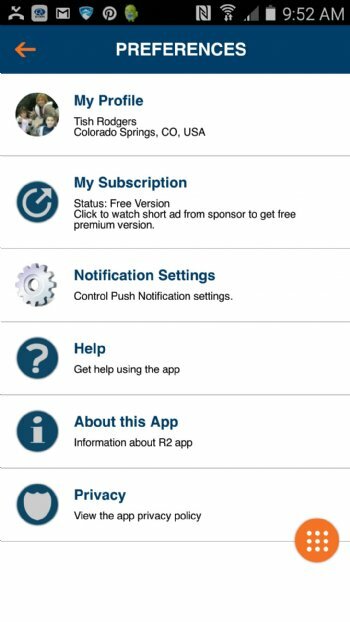 With a large expected app audience, R2 brings companies a new and unique way to reach a broad range of consumers with the simple click of a built in full screen ad in the app. A range of advertising and sponsorship activities are waiting, reach out and touch your audience via this revolutionary tournament app. Special pre-launch purchasing ad specials available. 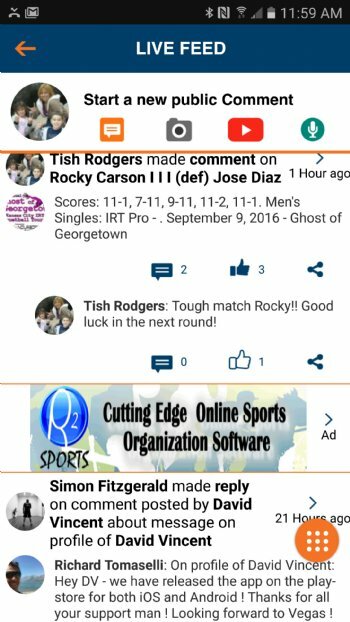 Interested in advertising in the R2 sports tournament app? 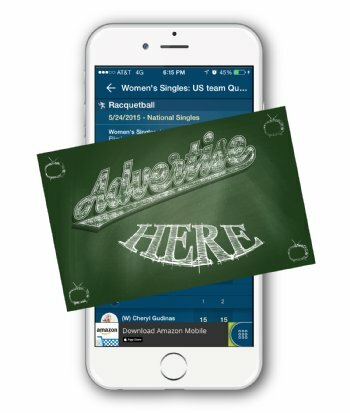 More info on advertising in the tournament app.